A sprained ankle and other unexciting matters sidelined me yestereday, but now I can use my imposed semi-immobility for bloggy purposes. * THR is claiming an exclusive that a date has finally been set for the two-part Peter Jackson/Guillermo del Toro collaboration, “The Hobbit.” (That’s with an assist from the late J.R.R. Tolkien, of course.) There was some apparent confusion earlier in the day, but it now looks like the two films will be released in Christmas of 2012 and 2013. That’s a year off from the original plan for the LOTR follow-up/prequel (though LOTR is technically the sequel here). Though this article doesn’t mention it, at least part of the problem was widely supposed to be the decline and fall of MGM. * I’m not at all sure how the “poison pill” actually works but it appears that a decision by authorities up in British Columbia — which is, like, part of an entirely different country than ours and everything — will make it easier for Carl Icahn to attempt his hostile takeover of Lionsgate. * Does anybody really want a “Clash of the Titans” sequel? Well, we’re getting one anyhow. * Bill Murray is apparently bound and determined to be the proverbial turd in the “Ghostbusters 3” punchbowl. It wasn’t a punch I had my heart set on, in any case, much as I liked the first one. 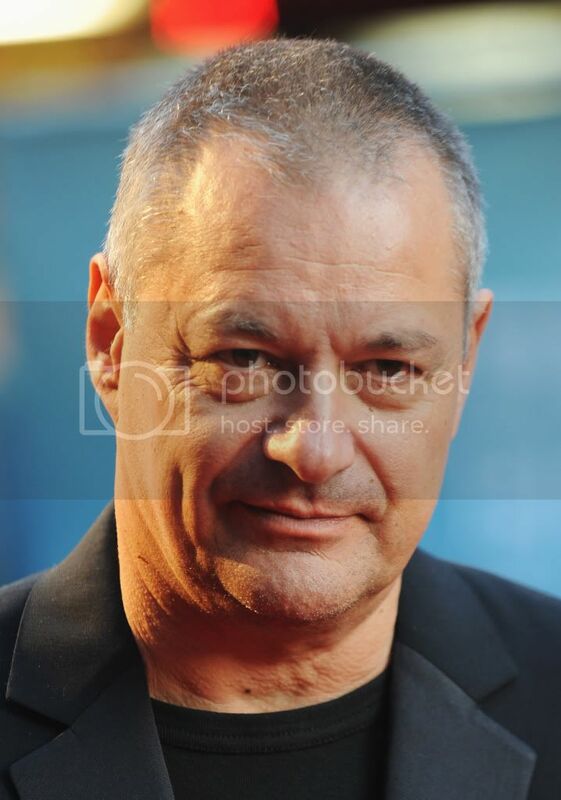 * Just the day before yesterday I was part of a press round-table with the affable, stylish French director Jean-Pierre Jeunet (“Amelie,” “City of Lost Children”). Someone brought up his adapatation of the acclaimed, fantastical Booker Prize-winning novel, The Life of Pi, a project which the vagaries of movie-making had apparently forced him to give up on. Today, Anne Thompson brings word that it appears that the project has been picked up by another strong directorial hand, Ang Lee. And, guess what, it’ll be 3-D. Lee’s one of the movies’ great humanists still working, so I’m sure the film won’t be overwhelmed by effects. Directors can be a pretty serious bunch, so it’s refreshing to see guys like Jean-Pierre Jeunet having so much fun making their movies that it’s evident just from watching it. The French filmmaker has been surprisingly absent from the world cinema scene since 2004’s “A Very Long Engagement,” but his return was definitely worth the wait. Jeunet’s latest film, “Micmacs,” may just be his best yet – a whimsical crime caper that boasts his trademark visual style, a classic Max Steiner score, and an ensemble cast filled with familiar faces. Though it likely won’t have the crossover appeal of “Amelie,” “Micmacs” is one of the most enjoyable moviegoing experiences of the year. Dany Boon stars as Bazil, a Parisian video store employee whose father was killed in a landmine accident when he was kid. After he’s shot in the head during a freak accident of his own, Bazil awakens to learn that he’s not only been replaced at work and had his apartment given away, but that the bullet which nearly killed him is still dangerously lodged in his head. With nowhere to go, Bazil is adopted by a group of eccentric, trash-salvaging inventors who live under the local junkyard. When he realizes that the military contractors who manufactured the bullet and landmine are located within the city, however, Bazil teams up with his new friends to exact revenge on the men responsible for ruining his life. Though a lot of Juenet’s films have a fairy tale-like quality to them, “Micmacs” takes it one step further by surrounding its main protagonist with quirky companions not unlike the Seven Dwarfs. But instead of Dopey, Grumpy and Sleepy, there’s a contortionist (Julie Ferrier), a human cannonball (Dominique Pinon), a girl who can calculate anything in her head (Marie-Julie Baup), and a guy who only speaks in idioms (Omar Sy). Each character has their moment to shine, but Pinon is the clear standout in a role that falls somewhere between his circus performer from “Delicatessen” and his ill-tempered lover from “Amelie.” Dussollier and Marié also turn in great performances as the film’s villains, but it’s Dany Boon who’s the heart, soul and funny bone of the story. It’s hard to believe he wasn’t Jeunet’s first choice, because Boon seems tailor-made for the role – a modern day Buster Keaton with the ability to entertain the audience with even the most basic pantomime. Once the film moves into the revenge portion of the story, however, the comedy veers more towards the slapstick, with each zany set piece leading to the next, even zanier set piece like a Rube Goldberg contraption designed by Danny Ocean. It’s all done so effortlessly, and with Boon and his co-stars so charming throughout, that you’d have to be in a pretty sour mood not to walk out of “Micmacs” with a giant grin on your face.